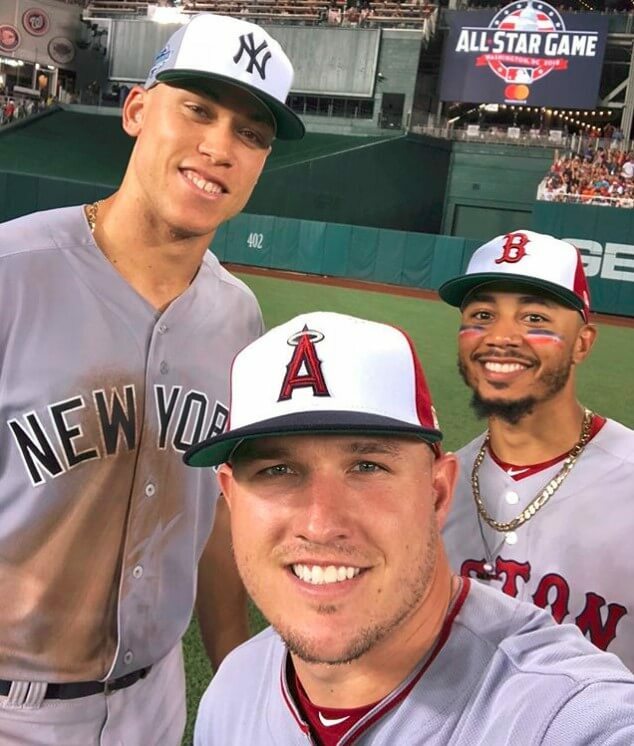 Mookie Betts wore USA-colored eye black at the 2018 All-Star Game, and to our surprise this is an easy $9.99 pick-up on FranklinSports.com. Despite his $10 million dollar contract, Mookie is not above a great value. Get this USA eye-black at the link. Categories: Mookie Betts, Gear, Outfield, Boston Red Sox.